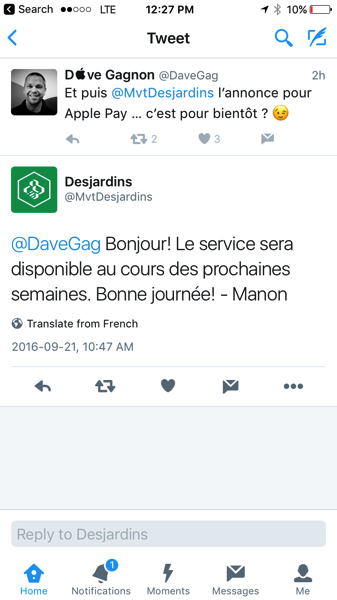 Just a week ago Desjardins announced on its Twitter account Apple Pay would be “coming soon”, but now it has clarified the timeline to say the mobile wallet will be here in the “coming weeks”, in its replies to customers in French on Twitter. 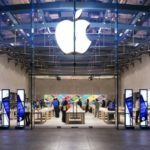 The financial institution’s website for Mobile Payment Solutions now lists Apple Pay as “coming soon”, while a couple weeks ago, their iOS app was updated with Touch ID support. 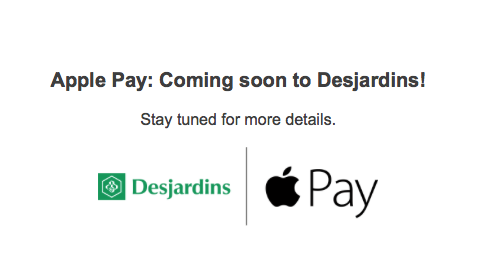 Waiting for Apple Pay to arrive is exciting and for Desjardins customers, they’ll soon join RBC, TD, CIBC, Scotiabank, BMO, ATB, Canadian Tire, President’s Choice, Tangerine and Amex.